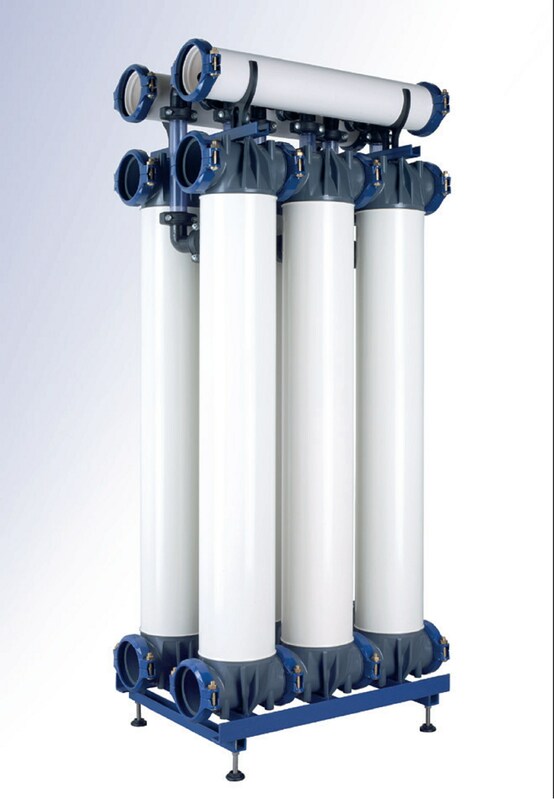 Ultrafiltration is increasingly being deployed in mobile applications – for example by incorporating systems in containers or trailers which offer limited height and space for installation. To meet the needs of these and other applications that require space-saving, lightweight UF solutions with a low height, we have optimized our rack solution portfolio to include the new T-Rack 3.0 S. This new rack combines the benefits of an extremely compact design with the advantages offered by our latest generation of racks such as outstanding corrosion and pressure resistance. The T-Rack 3.0 S requires up to 60 percent less space than conventional racks. And the provision of separate filtrate headers means that each row can be operated as a separate filtration line.